Development of the heart and lungs and transition to extrauterine life. 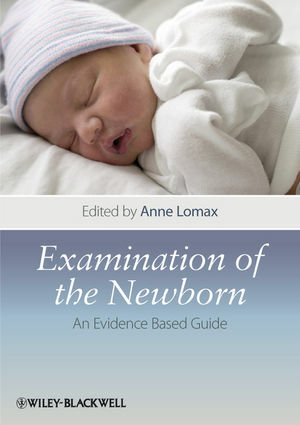 Examination of the Newborn provides essential reading for all health care professionals who are continually striving to update their knowledge and contribute to the standardisation of care on a national scale. Anne Lomax is Senior Lecturer in Midwifery, at the University of Central Lancashire, Preston, UK. She qualified as a registered nurse in 1981. Following this she became a registered midwife in 1983. She then went on to focus on specialist and intensive care of the newborn. Currently her focus is on enhanced midwifery practice in the area of examination of the newborn together with pre registration midwifery. Anne is also Admissions Tutor for the 3 year Pre Registration Midwifery Programme. 1 The Newborn and Infant Physical Examination Standards and Competencies (Anne Lomax). 2 History Taking and the Newborn Examination: An Evolving Perspective (Claire Evans). 3 Development of the Heart and Lungs and Transition to Extrauterine Life (Christopher D. Bedford and Anne Lomax). 4 Cardiovascular and Respiratory Assessment of the Baby (Christopher D. Bedford). 5 The Neonatal Skin: Examination of the Jaundiced Newborn and Gestational Age Assessment (Morris Gordon and Anne Lomax). 6 Examination of the Head, Neck and Eyes (Carmel Noonan, Fiona J. Rowe and Anne Lomax). 7 Examination of the Newborn Abdomen and Genitalia (Morris Gordon). 8 Developmental Dysplasia of the Hip (Robin W. Paton). 9 Abnormalities of the Foot (Naomi Davis). 10 Chromosomal and Genetic Problems: Giving Feedback to Parents (Delyth Webb and Anne Lomax). 11 Newborn Behavioural Aspects(Jeanette Appleton). 12 Examination of the Newborn: Professional Issues in Practice (Norma Fryer and Claire Evans). 13 Examining the Neonate in the Hospital and Community: Child Protection Issues. Appendix 1: Useful Website Addresses. Appendix 2: NIPE Information Leaflet for Parents. Appendix 3: Skills for Health.